Date; 20th June 2007, Time: 5:00 PM. 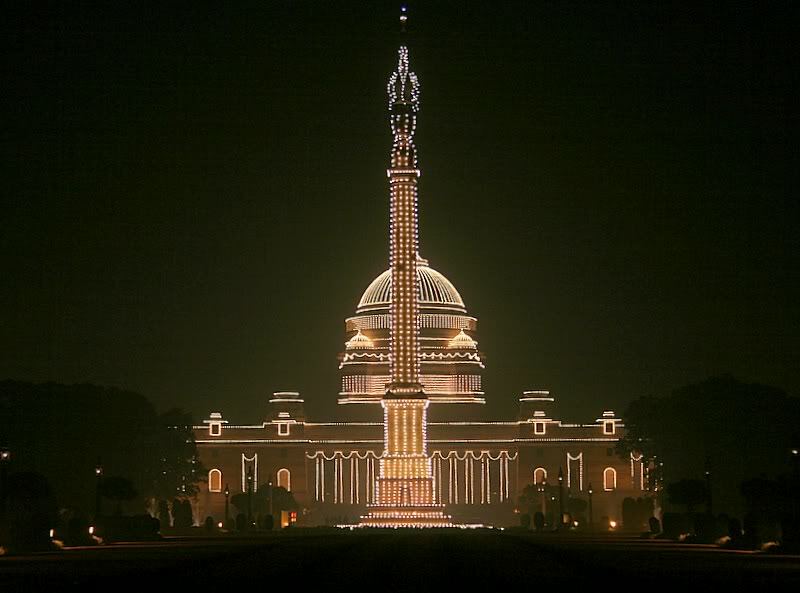 Venue: Rashtrapati Bhavan, New Delhi, INDIA. 20th June 2007 is supposed to be most memorable day in my life. I got golden opportunity to meet and interact with the President of India- Dr. A P J Abdul Kalam. 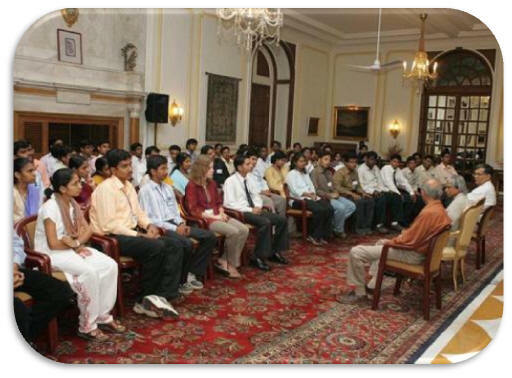 The occasion of this informal meet was the Summer Camp-2007. The Department of Civil Engineering at the Indian Institute of Technology Kanpur has been conducting an exciting annual four-week technology camp each summer since 2001 for the second year undergraduate civil engineering students from across the country. The objective of the camp is to re-create the romance of Civil Engineering profession and motivate the participants to excel in this fascinating field of human endeavor. A team of 15 MTech students was involved in organizing the camp, under the guidance of Dr. Ajanta Sachan. I was involved in Summer Camp-2006 as well as Summer Camp-2007 as a coordinator. Summer Camp-2007 was a Life Transforming experience for all of us! We meet leaders of the civil engineering profession in India: construction engineers, design consultants, academicians ... who have excelled in their own fields in the domain of civil engineering, and are today role models to emulate. The Camp also takes the participants through a first hand experience of select prestigious civil engineering projects of the nation from the historic past to the current genre. The Camp gets down to action through hands on projects and videos of Civil Engineering projects of yesteryears. Check out for yourself what happened in the past years by journeying though the stories from these years...! Apart from regular camp activities at IIT Kanpur, the most exciting part of the camp was 5 days stay at IIT Delhi. As a part of camp schedule, we visited some big scale construction sites in New Delhi during 17th June-21 June 2007. We had very nice interaction with great technocrat- Dr. E Sreedharan, Metroman, MD, DMRC, New Delhi. His speech inspired us to contribute for the development of nation by serving through Civil Engineering profession, which has vast potential and great challenges. We also had presentation by Subramanianr, Engineer in-Chief, PWD, New Delhi, discussing on the major steps taken to make Delhi as world class city. The Chief officers of Delhi Development Authority (DDA) explained the infrastructure and world class facilities that are constructed for Common Wealth games-2010. The major site visits includes Delhi Metro overhead bridge, Delhi Gudgaon Expressway, major fly-over in New Delhi and the Base isolated building foundation, which was first attempt in India. We also visited tourist places like Akshardham Temple, Lotus Temple and Jantar-Mantar. 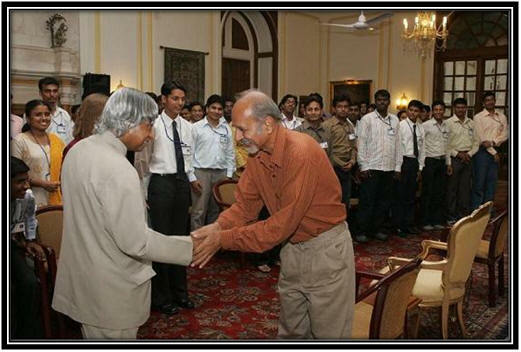 On 20th June 2007 we were very excited to meet first citizen of India- i.e. President of India. We reached Rashtrapati Bhavan at 5:00 PM, and the meeting was scheduled at 6:30 PM. First time in life I crossed the boundary of Rashtrapati Bhavan, and I was feeling proud to be there. After completing security check, we started our photography outside the Rashtrapati Bhavan. After a short while the officers invited us for refreshment, and as soon as we took dishes, the band was started. That was one of the greatest laurel in my life..! After some time, the President of India arrived. I was watching the great missile man from a distance not more than 5 feet. He started the motivating conversation with the Role and contribution of Civil Engineers in nation building. In summary, he stressed on the issues/projects to be undertaken by Civil Engineering professionals. The Civil Engineering is supposed to be the basic branch of engineering, which has its direct impact with the society. In future, there will be two major obstacles- not only for development of India, but also for the human community. The first one is the Earthquake and second is the scarcity of water. There should be efficient and economical way to predict earthquake as well as for avoiding disasters, there is need of innovations in the engineering design. He urged all Civil Engineers to look on this problem and obtain optimize design. Second and major problem will be the availably of water. Water is the one of the few natural resources without which there is no life; and is distributed throughout the country unevenly in terms of place, season, quality and quantity. That is to say, particular areas of India, suffer from drought, while other posses too large quantities of water, which causes flood. Also, very same region could, in the particular period of the year, be exposed to the drought, while suffering form floods in other period. For this reason, it is essential to optimize the use of water by constructing dams and other hydraulic structures. This also impose a need for the artificial distribution of water by undertaking mega-engineering projects, like River Linking project, in order to obtain the water for a given place and in a defined quantity, as well as a pre-determined moment in time. The president of India inspired us to contribute for nation by applying engineering knowledge and innovative solutions. He also stated that some persons may interrupt you by objecting your goal, but you should have confidence and courage to think big. If they are thinking that your goal is impossible to achieve, then you have to prove them that everything is possible. The word, impossible itself states that "I'm possible". So don't believe on those negative minded persons. He told us the story of one of the very famous and talented professor. In 17th century he announce that an object, heavier than air cannot fly. People believed on that statement. But in 19th century, Wright Brothers proved with live demonstration that an aeroplane-designed is such a shape that even though it is heavier than air, it can fly. The so-called impossible thing becomes possible and that was very innovative solution. The concluding statement of his talk on this issue was- 'Do not believe on the person, who says that 'This is impossible'. That was very optimistic message for every one. We should have courage to dream and work hard using your knowledge and talent to bring the dreams into reality. Dr. A P J Abdul Kalam motivated us to give our contribution as a Civil Engineers for the development of our country, which is suffering major problems like population growth, corruption, lack of awareness about education and health. Today 22% Indians are below poverty line and if we want to bring these 22% above poverty line, then we have to maintain the current GDP for at least a decade. Some villages in India are still not connected with roads and electricity. There are no or little bit education and medical facilities are available in the villages. The peoples are rushing towards metro cities in search of employment, education and health facilities, crating residential problem and adding pressure on the existing infrastructure. So, we have to use the technology like Tele-medicine and Tele-education to make the life of villagers more comfortable and to avoid mass migration in metros. In short, his idea was to make the self-sufficient villages and he concluded the conversation by pointing out the issue that objective of education is not to create the employment seekers, rather than the graduates should to treated as the employment generators. "There will always be two kinds of people... those who follow a beaten path and those who design their own...for others to follow."